AOI Digital is a vibrant young company started by myself Adam Owens I am a sole trader with over 14 years in the industry, AOI is now entering its fifth year in business our focus is firmly on customer service and commitment towards exceeding our clients expectations. AOi Digital will provide all that’s necessary for a professional and honest service, if you require an new aerial installation or just a repair on an existing setup we can help, with a free signal assessment we will supply a written quotation with a full description of possible actions to take you forward. Digital aerial installed to a tv with a built in tuner or a set top box receiver enabled for Freeview with a simple one off payment 27 of the 30 most watched channels in the UK are available to watch. An aerial installation on a roof secured to a chimney is a common sight there are a few ways to do this by either drilling and fitting a bracket or supplying a cradle and lashing kit at AOi we would prefer to do the later, the main factors for this are least amount of disruption to your building as possible and is less likely to become dislodged in high winds. 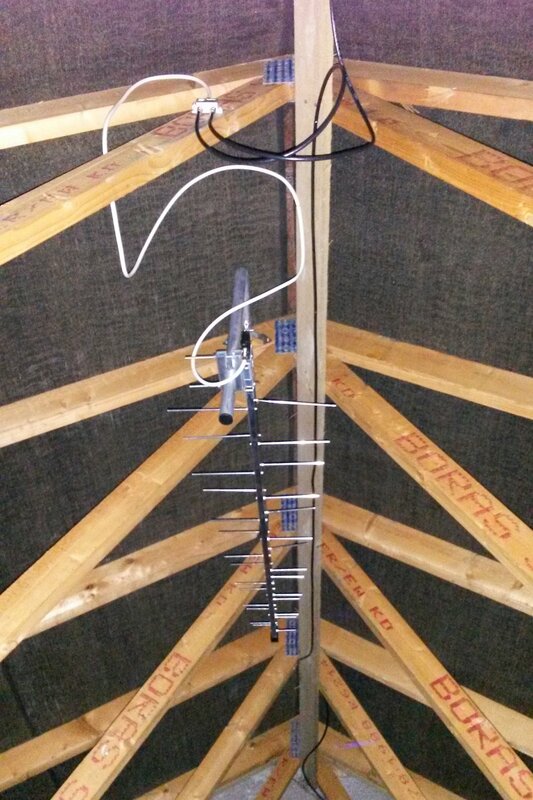 Loft aerial installations are not always suitable to every client a signal assessment must be carried out to advise if possible, benefits to an internal installation are life duration for the antenna and that it's more aesthetically pleasing.